The FSRI is pleased and excited to announce this year's Science Fiction Series Award. Our selection committee, after a process of intense and thorough consideration, established this year's winner by unanimous vote. 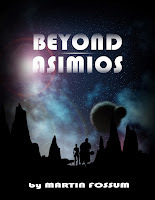 Beyond Asimios, by Martin Fossum, was chosen Best Science Fiction Series for 2013. From everyone at the FSRI and from everyone on our selection committee, congratulations, Mr. Fossum, on a job well done. Picking this year's science fiction series winner was not easy. This year's candidates were numberless and the quality of submissions at an incredibly high level. The FSRI wishes to thank everyone for their participation and to encourage authors of all cut and stripe to continue the hard work and dedication under which all great series of science fiction are born. 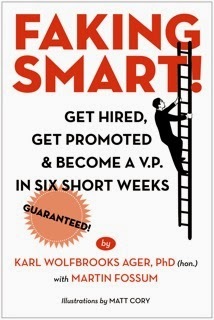 Writing is not easy these days, what with all the competition from blogs and self-publishing and other types of nonsense. With the industry the way it is, you can merely stick a title on a sheet of paper, write a few chapters, have your mother edit them and then - bingo! - you've got yourself a science fiction series. The FSRI will refrain from pandering to this kind of "fast food" fiction. Rest assured, when the FSRI gives a work of science fiction its imprimatur, you know you've got quality narrative on your e-reader. That said, the FSRI wishes everyone a Happy Holiday and a Happy New Year!